How Does Browning Manufacture These Grips ?? Discussion in 'Browning Mark Handgun' started by billt, Aug 5, 2017. 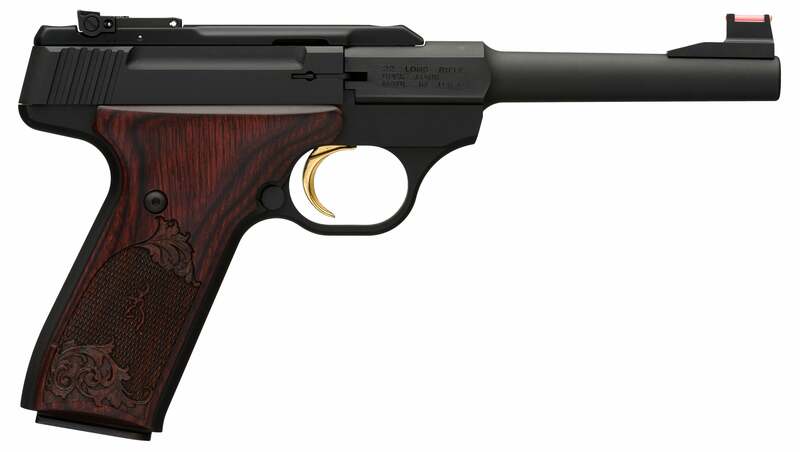 Does anyone know how Browning makes these beautiful Oak Leaf engraved grips for the Buckmark Challenge Rosewood Pistol? I have one on order that should be here by the middle of next week. I have several other Buckmarks, (3), but I am really excited about this one. You don't see too many of them. Anyway, I was wondering what process they used. I don't think they are 100% laser engraved. Perhaps heat and steam pressure in a die of some sort? I haven't seen anything quite like that on a stock pistol.... Let alone a .22.